If you live under a rock, you’re probably one of the only people that hasn’t heard of the news, the global version of MapleStory 2 has been announced! The CBT signups are now out and it will begin on May 9. You guys probably already know I didn’t like MapleStory 2 very much and so my coverage of the game ended pretty quickly haha. However, I’m probably going to try out the global version a bit so I’m really hoping they start with a later version of KMS2. That’s why I’m making this post, a timeline of all of the major updates that KMS2 has received so you know what to look forward to in GMS2! It’s been a while since I’ve covered anything MapleStory 2 related (mainly because I don’t play it and it’s not very popular anyways), they even had an update called Restart which was basically Big Bang! Anyways, I thought this was very interesting. It’s a new mobile app, titled MapleStory 2 Go! It will be released on April 1, so I’m looking forward to trying it out! MapleStory 2 – Patch Catch Up and Winter Update! A few days ago, I noticed that I haven’t posted about MapleStory 2 in a while (like… 3 months haha). It’s because I don’t play it anymore, but I wanted to let you guys know about stuff that has been added since the Season 3 update back in August! I skipped some details and some of the smaller patches though. In addition, they have released information about the Winter update which includes a new job! MapleStory Pop-Up Store: Maple Store! This post isn’t about a patch or update or anything, but something I thought was really cool that is happening in Korea. Nexon has opened a pop-up store for MapleStory! It’s called Maple Store and like other pop-up stores, it is only open for 3 months. They sell a lot of cute products! MapleStory 2 – Season 3 Update! The second large update to MapleStory 2, Season 3, has been added! This patch includes an increased level cap to level 50, new skills, bosses, and party dungeons as well as new areas to explore. I believe this is the last level cap increase for now (it was mentioned in the patch notes). Note that Zakum has not been added yet, but it was available in the CBT, so I’m not sure if he will be added as a level 50 boss or they’re waiting to see if they’ll increase the cap again. Like the last patch, updated skill tables will come soon! 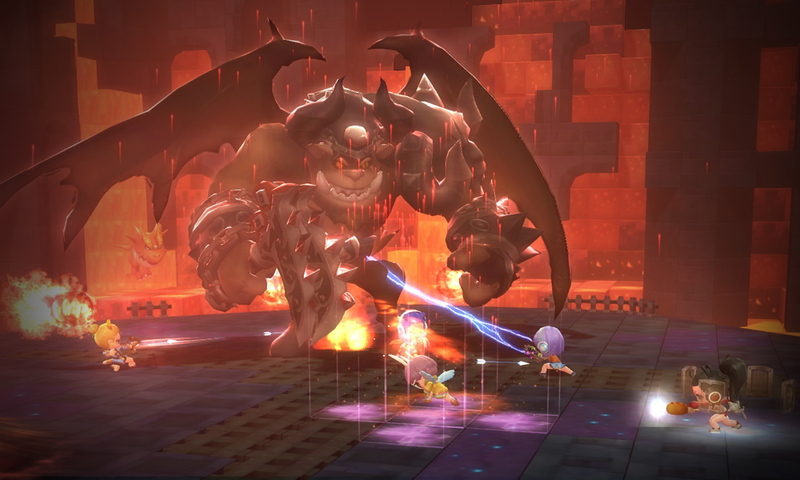 MapleStory 2’s first large update, titled Season 2 was released on July 30. With the increased level cap from level 30 to level 40 came a few new skills for all jobs! Here are updated skill tables which I am hoping are completely accurate. Please let me know if there are any mistakes.